Federer faces a tricky test against world number five Alexander Zverev in Saturday's semi-final in London. Here's how you can watch the match live on TV, online. Second seed Roger Federer takes on third seed Alexander Zverev in the men's singles semi-final of ATP Finals 2018 at the O2 Arena in London on Saturday, November 17. The much-anticipated first semi-final of the year-ending tournament will not start before 2 pm local time and 6:30 pm IST. Sony ESPN and Sony ESPN HD will provide live television coverage of the match in India. The live stream will be available on Sony Liv. 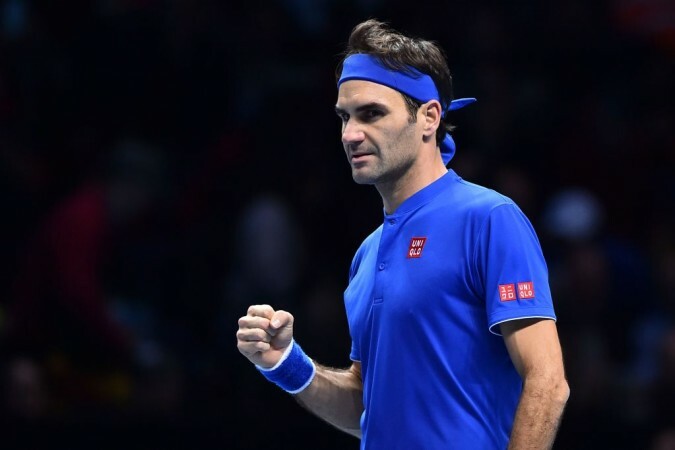 Federer will be featuring in the 15th semi-final of ATP Finals on Saturday while his young opponent, Zverev is all set to make his maiden appearance in the last-four stage of the tournament. The Swiss great, a six-time champion of the season-ending competition, is two wins away from a record seventh crown, which will also be his 100th career title — a major landmark that he insists will not affect his game later today. Federer started his campaign in London with a straight-set thrashing to Kei Nishikori but he has been clinical ever since, beating Dominic Thiem and Kevin Anderson and thereby topping the Lleyton Hewitt group. The 20-time Grand Slam champion has gradually improved his game and will be hoping to hit peak form in the crunch match. Notably, Federer has met Zverev five times in the past and has won three of those meetings, including last year's ATP Finals group-stage match wherein the former needed three sets. Zverev was thwarted by Novak Djokovic in his tournament opener but the world number five stepped up and beat Cilic and Isner in straight sets to book a place in the semi-final. The world number five has the game to pose a threat to Federer. He hit as many as 18 aces in his 7-6, 6-3 win over Isner on Friday. However, Zverev needs to hold his nerves and get the job done, which has been an area of concern, given his failures in Grand Slams. While Federer heads into the semi-final after a day's rest, Zverev has little time to recover and he acknowledges the tough task in hand. "Obviously it's going to be a very difficult match. I mean, him on this surface, indoor court, he's an unbelievable player. [I've] played him a few times in all different conditions, all different surfaces," Zverev said, as quoted by ATP's official website. "I'll prepare myself for a very tough match. I hope it will be a good match, as well."